The Beast Build Log: Not done, but here's an update anyway. Not done, but here's an update anyway. 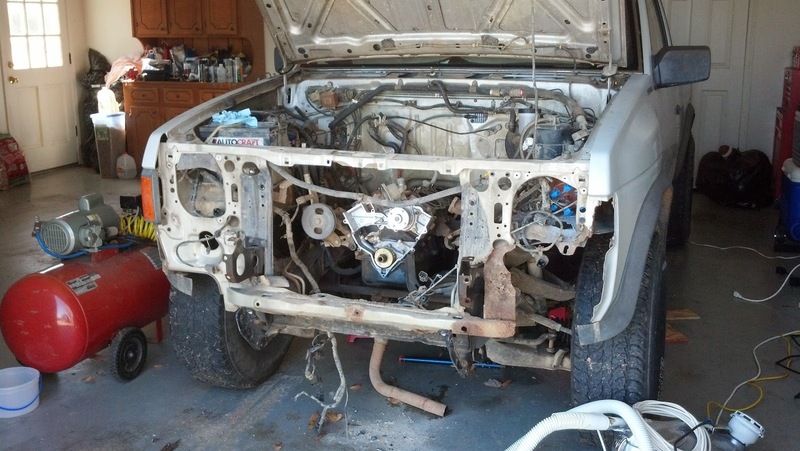 So the engine work isn't over yet, but I've got a lot of pictures and stuff and figured I'd throw an update out here since its been a while. This project has been a mess. Sourcing parts, returning bad parts, buying hoses 400 times, etc. It's been a constant battle. So I cleaned the block with a few razor blades. It took forever but worked pretty well. It wasn't hard to tell where the gaskets were busted. Some rust had accumulated but scraped/cleaned off pretty easily. I ordered a set of heads from Cylinder Heads International (www.headsonly.com). 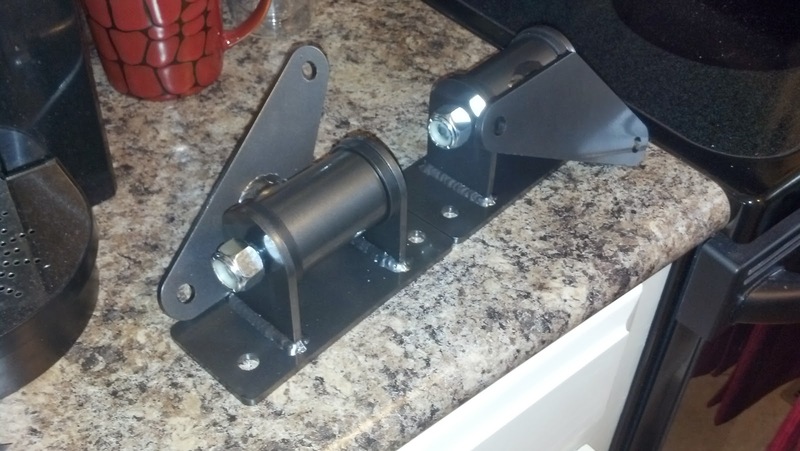 While waiting on the heads, I went ahead and installed 2 new motor mounts from Rugged Rocks. They're pretty awesome and weren't too bad to install. I was ill about this but didn't want to risk returning it for a refund because they said they'd give me a random core in return. I got together with a buddy and we got that stud out without a whole lot of effort. 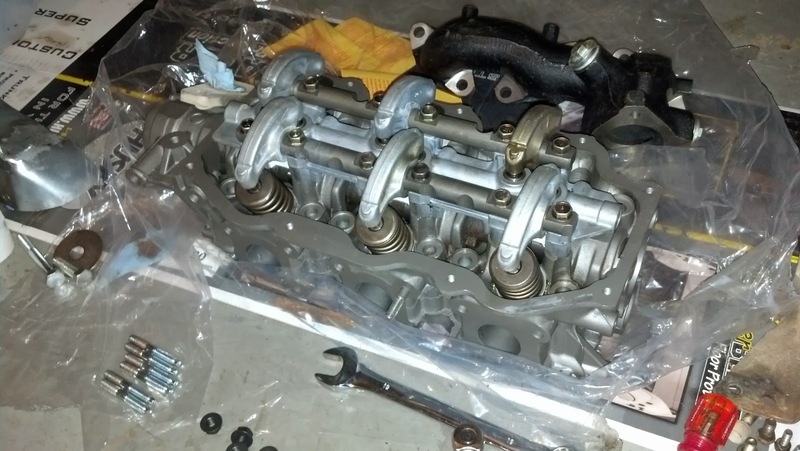 Got that head on, got some new head bolts and washers, and bolted those bad boys down. I had been meaning to remove the clutch damper and replace the clutch master and slave cylinders, so one day while I was stuck waiting on some parts to show up I tackled that. The clutch master cylinder looked awesome. The fluid was semi-solid. I have no idea how the clutch worked at all. 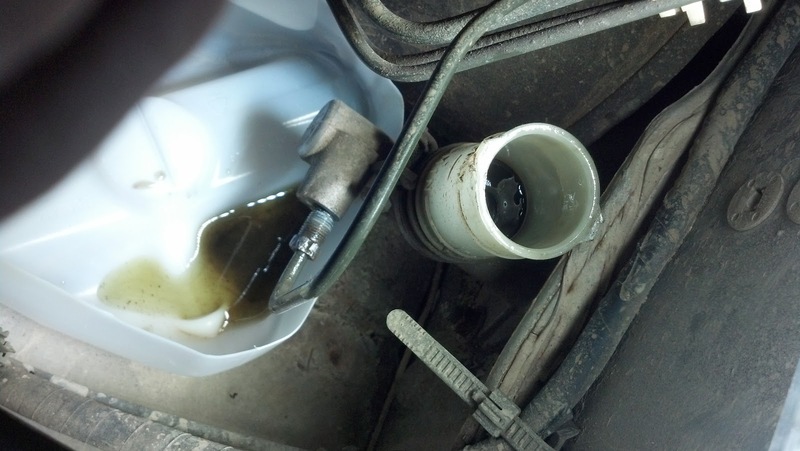 Clutch hydraulic fluid is not supposed to be green/black. I drained the nasty fluid out of the lines and also removed the clutch damper, replacing it with a 10mm metric union. Doing all this wasn't too bad. Even the slave cylinder wasn't horrible to replace. The old one was leaking everywhere, another pretty solid indication that my clutch was working at about 30% of what it should have been. 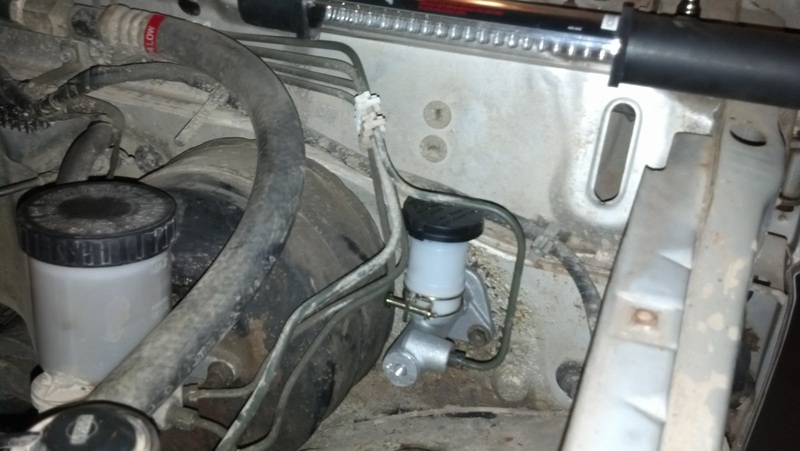 And here's what the new master cylinder looks like. Complete with nice new clear hydraulic fluid. The next thing that needed addressing was my radiator core support. It was in horrible shape and was just always in the way anyway, so I figured I'd yank that while waiting on parts. It would make reassembly easier anyway. about 2/3 of the core support removed via sawzall and a lot of drilling. 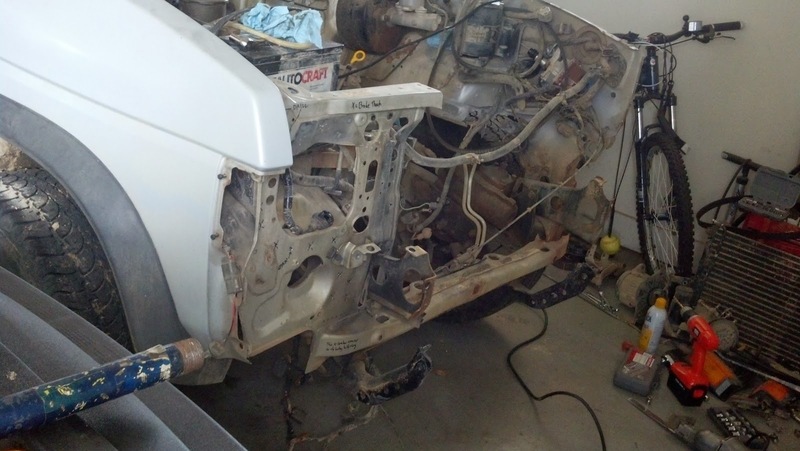 The core support is welded in, so it was pretty aggrivating to get removed. I ended up stretching that out across a few workdays. The core support is completely gone now. There's a nice shiny new painted one sitting in the bed waiting to be reinstalled once the engine work is done. 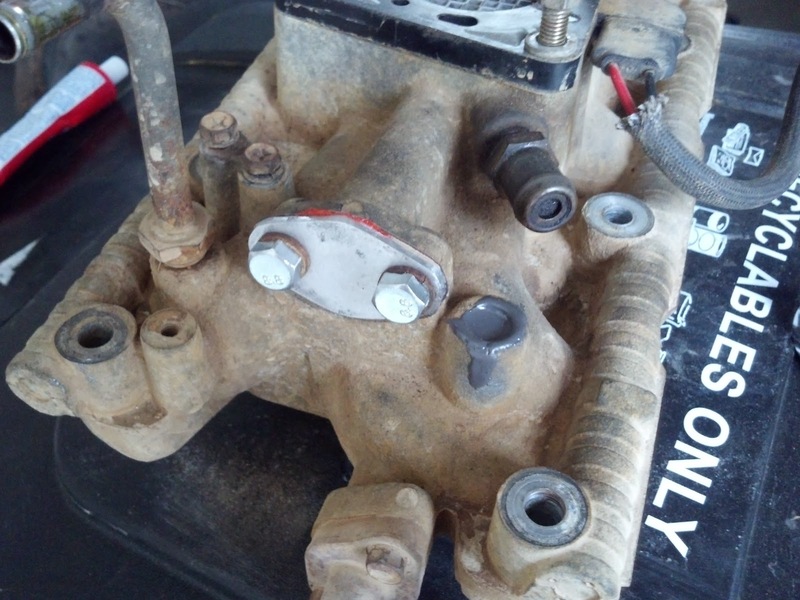 Once the heads were bolted down and I had everything torqued properly, I wanted to address some bits of the intake manifold that weren't needed. 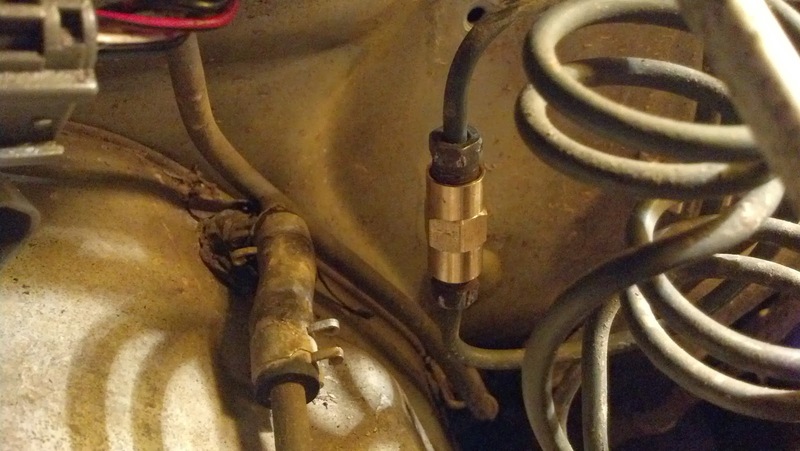 The EGR didn't work anyway because someone had made some small degree of effort to block it off in about the most stupid way possible. I removed the EGR completely and blocked it off with an aluminum plate a friend made for me. I plugged up another hole that went to some sort of little dilly that had a couple of hoses attached to it, but that weren't actually attached to anything. It was basically the vacuum leak port, I have no idea what it was for. 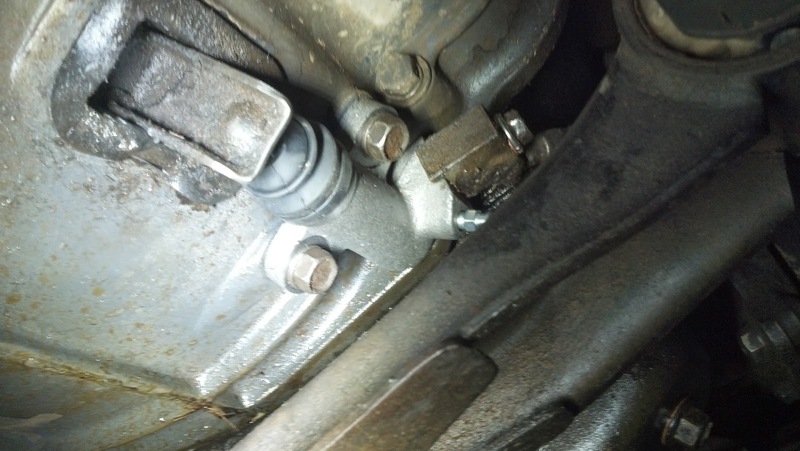 I figured if the truck ran with it leaking everywhere I'd just plug it with JB Weld, so that's what I did.